Keto Italian Meatballs - Basil & Parmesan Served with Zoodles! 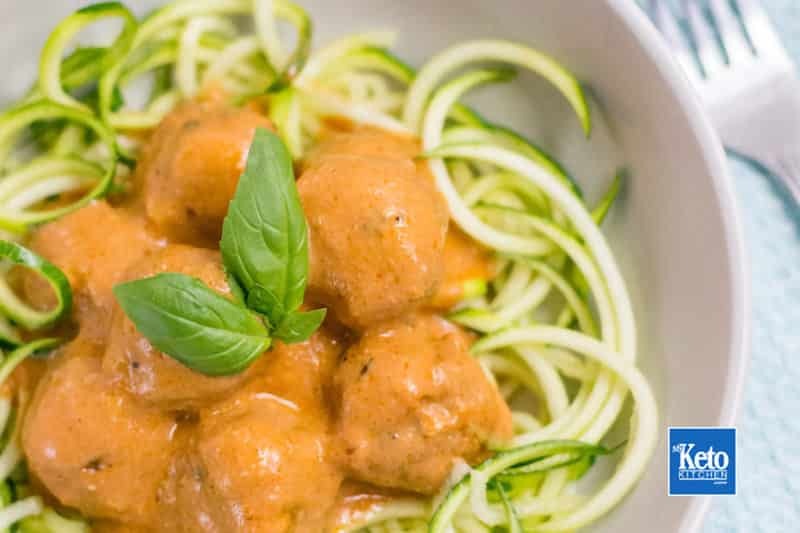 Home » Recipes » Keto Italian Meatballs – Basil & Parmesan Served with Zoodles! Try this Keto Italian Meatballs recipe with Basil and Parmesan, they’re very easy to make! The keto Italian meatballs can be stored in an airtight container in the fridge. They keep for up to 1 week or in the freezer for up to 2 months. This recipe makes 5 serves. 1 serving is 7 meatballs. (Assuming that you got 35 meatballs for the whole recipe). 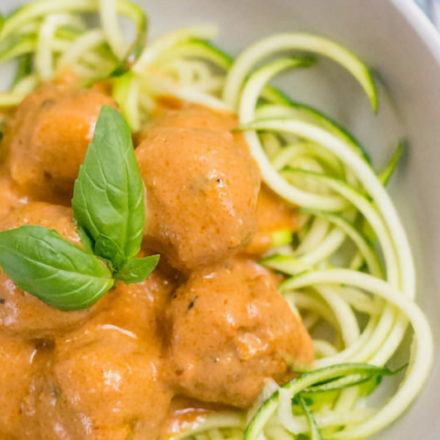 Keto Italian Meatballs served with Zucchini Noodles. Line a roasting tray with parchment paper and set aside. Place all the meatball ingredients into a large bowl and mix well. We recommend wearing food safe disposable gloves. Roll into tablespoon sized balls and place on the prepared tray. We got 35 meatballs. In a saucepan add all the sauce ingredients over low heat. Gently warm and whisk ingredients together. Turn the heat up to medium, add the meatballs and simmer gently for 5 minutes. Serve over zucchini noodles or with a side of Cauliflower Mash. Everyone has their favourite meatball recipe and we’re no different. 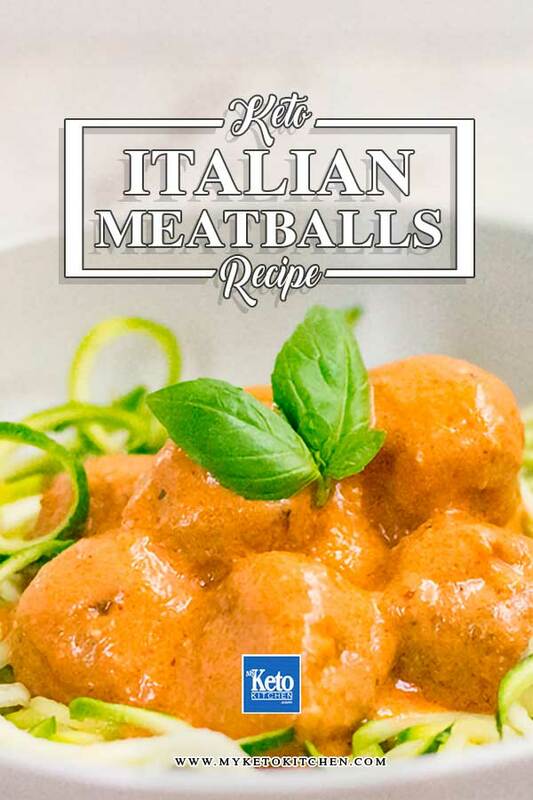 Why not try our Low Carb Italian Basil & Parmesan Meatballs! In a small saucepan add all the sauce ingredients over low heat. 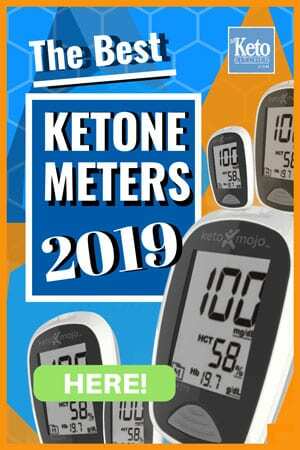 For a larger batch of this Keto Italian Meatballs recipe adjust the servings above. Really tasty meatballs and sauce!